Fetzer Vineyards has been rebelling against conventional winegrowing practices since 1968, when founder Barney Fetzer began making wine in Northern California with a focus on what was good for the earth, as well as for what goes into the glass. Barney believed that Earth-friendly grapes would produce good wine. He challenged the status quo. He understood that nothing worthwhile is ever easy. Today, Fetzer continues Barney’s tradition of an Earth-first philosophy, recently becoming the largest winery in the world to secure B Corp certification. 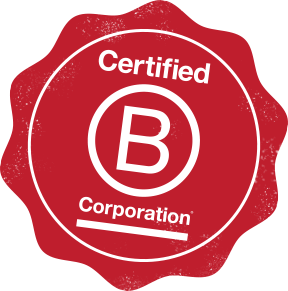 Developed by the non-profit B Lab, B Corp certification standards are widely recognized among the highest standards for social and environmental responsibility in business. Certified B corps – about than 1,500 worldwide and including household names like Ben & Jerry’s, Patagonia, Warby Parker and New Belgium Brewing Company – are meant to inspire businesses to compete not only to be the best in the world, but also the best for the world. It’s a delicate balance that calls for redefining success in business to operate in ways that restore, revitalize and regenerate ecosystems and communities. In other words: ways in which Barney would have approved. Looking ahead, Fetzer has upped the ante once again, committing to using regenerative and restorative business practices that create positive impacts, with the goal of becoming a Net Positive business by 2030. This ambitious goal will require putting more resources back into the world than Fetzer takes out, thereby using business as a force for good. There is a strong foundation for this bold new initiative. Fetzer Vineyards was the first winery in California to run on 100% renewable energy, back in 1999. 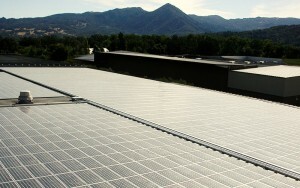 In 2006, Fetzer Vineyards extended its solar array by an additional 75,000 square feet of panels, creating the capacity to generate 80% of the energy needed to power its bottling facility. The challenge is to reduce energy usage by an additional 20% by 2020. Zero-waste is more than a catch-phrase at Fetzer Vineyards. Grape skins, seeds and stems are composted on site and re-used in the vineyards, where they help regenerate soils and provide carbon sequestration for the reduction of greenhouse gases. Recycling bins inclusive of compost containers are located through buildings and production areas, and packaging materials, unused corks and old barrels are reused, recycled or repurposed. Thanks to these initiatives, Fetzer vineyards became the first certified Zero-Waste Winery in the world. Fetzer Vineyards’ innovative farming practices that increase the ability of our soils to sequester carbon will propel the company to carbon neutrality by the end of 2016. Many of these gentle and regenerative practices have their roots in Barney’s time and include applying compost to the soil, introducing cover crops, planting for biodiversity and using planned sheep grazing to regenerate the earth, and using beneficial insects to manage pests. He was just doing what he felt was right. Fetzer Vineyards’ beneficial land practices don’t stop there, either. 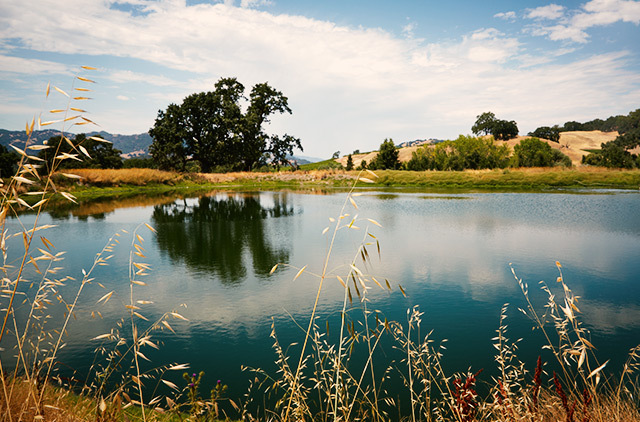 Natural oak woodlands, including riparian habitats, are protected and maintained on approximately 45 percent of the winery’s land. Habitat corridors inclusive of dozens of species of perennial shrubs, grasses and trees protect riparian zones and harbor beneficial insects and native birds that help with pest control. Altogether, these practices protect the natural resources upon which the vineyards depend while sequestering carbon and building resilience to a changing climate. Come visit Fetzer Vineyards at the Seattle Wine and Food Experience, Sunday Feb. 21 to sample the goodness wine can achieve when produced with the greater good in mind.